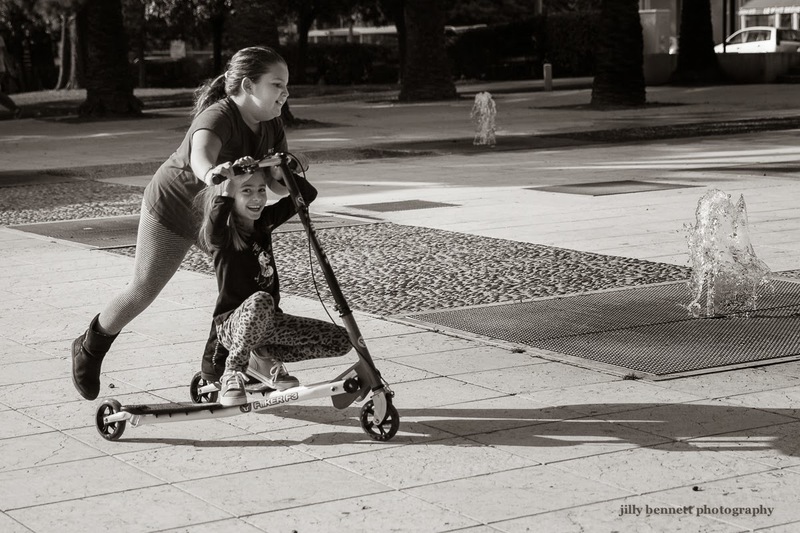 Just kids on a scooter having fun. 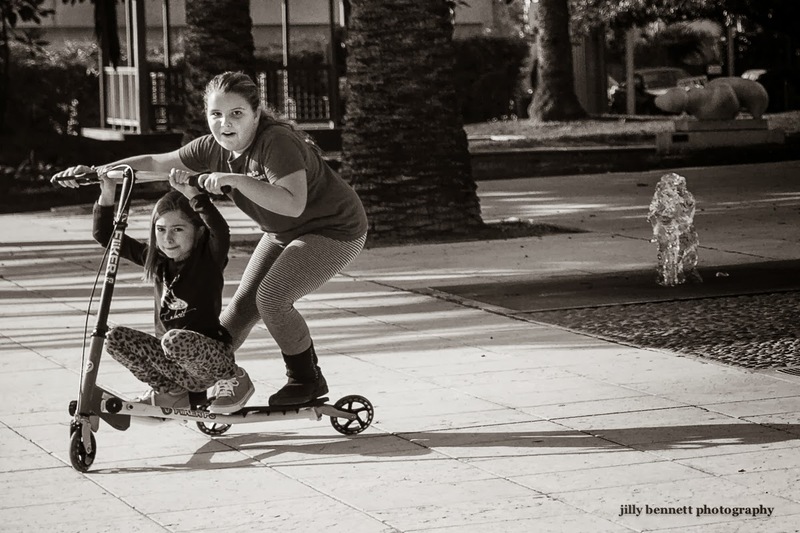 Juste des enfants qui s'amusent sur une trottinette. I don't think I have ever seen a scooter this long. During the war, we took the front wheels and the back wheels off of those clamp on sidewalk skates and fastened them to a long board and run and do a belly flop on the board. We have scooters like this one, very safe and also fast! Love the black and white.